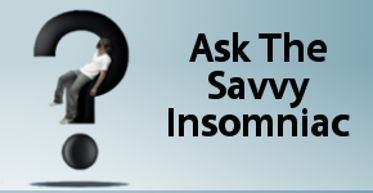 Will Marijuana Help My Insomnia? Some people tell me marijuana helps them sleep. Just last week a friend from college—I’ll call her Marcia–mentioned she’d tried it and was happy with the result. Marcia’s insomnia came in the middle of the night. She’d wake up at 3 and was rarely able to get back to sleep. Ambien helped for a while. Then her doctor refused to renew her prescription, so Marcia made an appointment with a sleep therapist and went through CBT for insomnia . . . to no avail. She continued to wake up in the darkest hours. As a last resort she tried marijuana. “Just two puffs” at bedtime enabled her to sleep uninterruptedly until 5 or 5:30 a.m. This was a surprise and a relief. But the bigger surprise came when she quit the marijuana and continued to sleep through the night. 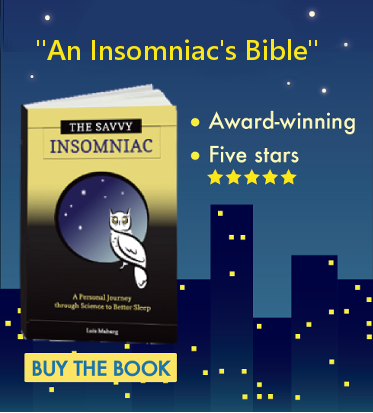 I roll my eyes when I see articles about how we humans are prone to miscalculating sleep time—in particular, people with insomnia. We tend to underestimate how long we sleep, and the conclusion is often that if we knew how long we were really sleeping, we wouldn’t complain so much. That’s not the message of the latest of these articles, written by Derek Thompson in The Atlantic. Thompson looks at how the quest to prolong sleep ties in with the use of sleeping pills—but I think his analysis falls short. Research shows there are many benefits to napping. But if you have chronic insomnia, they may not be such a good thing.